Nice are planning a move for Gregory van der Wiel. Cagliari right-back Gregory van der Wiel is in advanced negotiations with Nice, according to the football transfer rumours in Italian media. The Netherlands international joined Cagliari from Fenerbahce for a fee in the region of 1 million euros in August 2017. His contract expires in the summer of 2020. Van der Wiel has played only five times for Cagliari since signing from Fenerbahce. The 29-year-old is considered to be one of the best right-backs in Netherlands. Gregory van der Wiel has represented Netherlands at Under-19 and Under-21 level, winning nine caps, before making his senior international debut in February 2009. 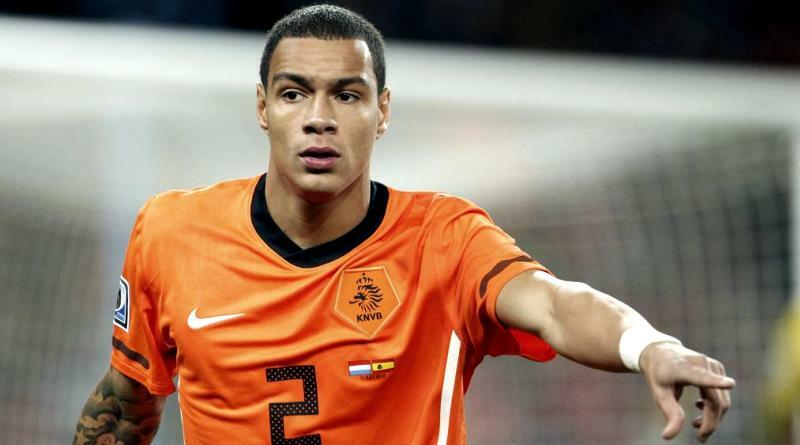 As a member of Netherlands national football team, Van der Wiel won 46 caps. The Cagliari manager does not see him in his plans and would be open to letting him leave. The report details that Lucien Favre feels his defense currently lacks some bite and that he could strengthen this month. According to the report, Gregory van der Wiel is on the verge of leaving Cagliari for Nice, with Benevento’s Gaetano Letizia lined up to replace him. Rossoblu President Tomasso Giulini is in advanced talks with Le Streghe and hopes to complete a deal for the player soon. A move to Nice is exactly what Van der Wiel needs to reignite his career, and we hope he is able to do just that. The 29-year-old is certainly a player that would strengthen the current Nice squad and would be a good buy in January.